The Off-shoulder trend made a comeback in 2016 and one year later it is still one of the fashion biggest trends to embrace! 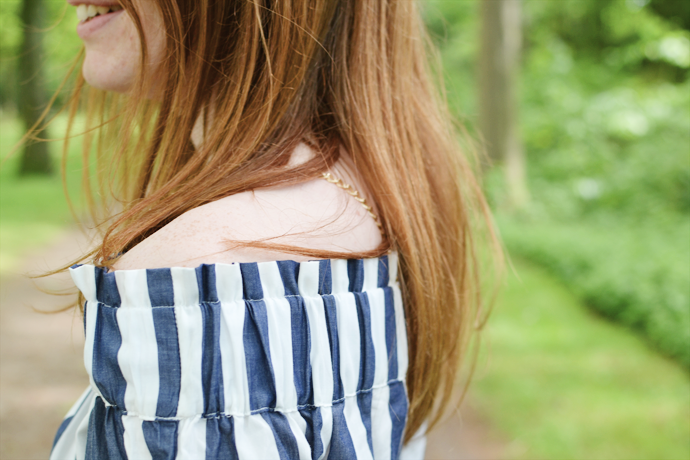 I must admit that it took me a while to get on with the off-shoulder style, because it isn’t easy to find items that you love and that are comfortable at the same time. 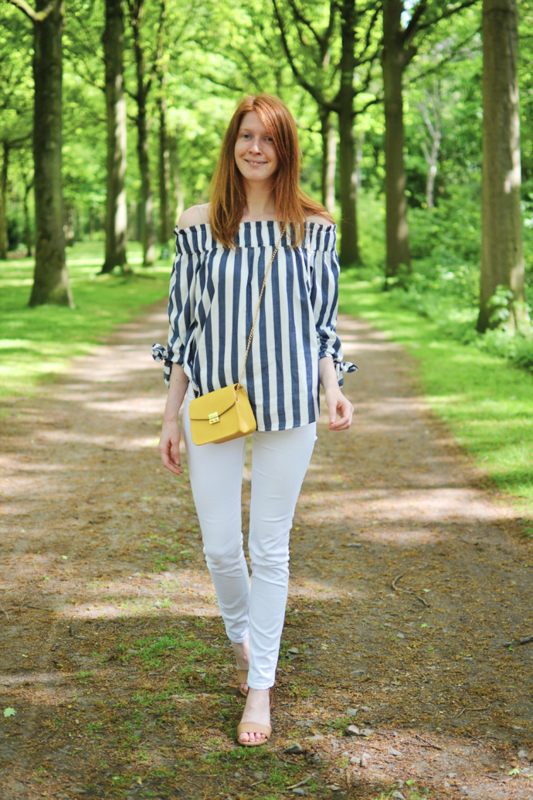 Last summer I found a silk-y off-shoulder top from River Island, but it is a little too tight around my shoulders and so I don’t wear it anymore. 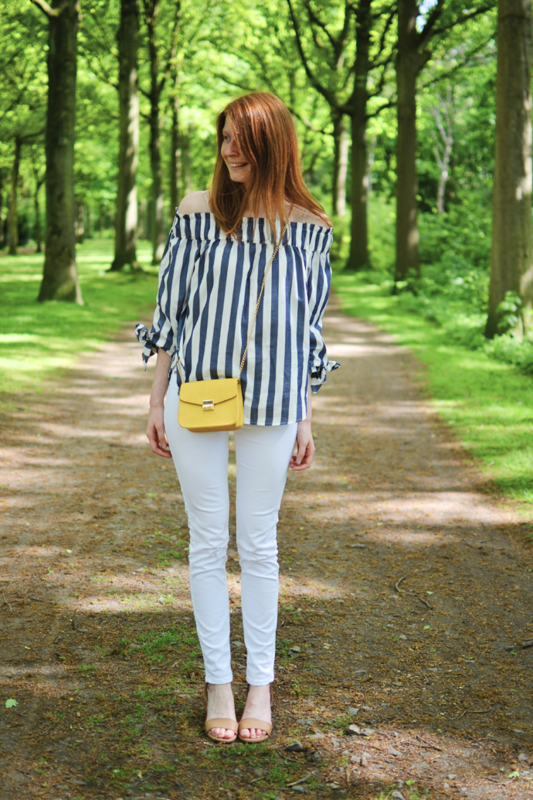 The blouse I am wearing in today’s photos is my new off-shoulder find. It doesn’t press on my shoulders and still the collar doesn’t slide up my arms while I do my daily routine. Good job, H&M! The vertical stripes are also a lovely addition to my pretty plain wardrobe. 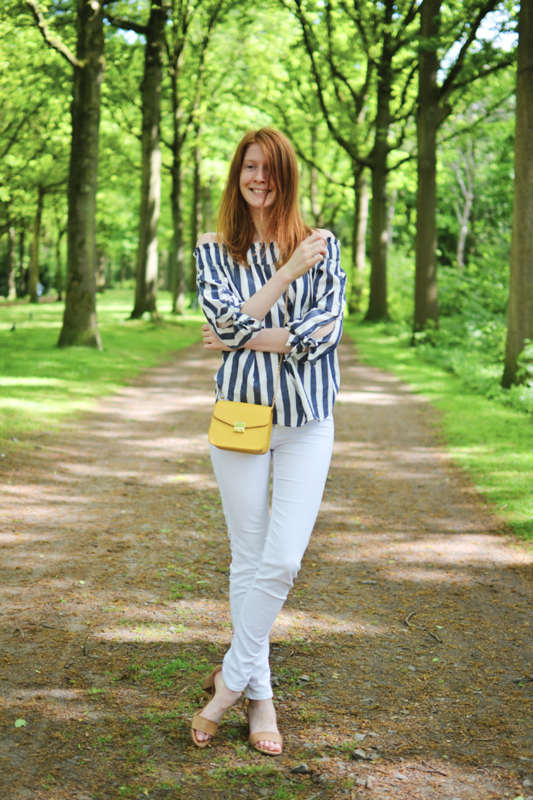 My boyfriend took my outfit photos after we had a coffee date at Bar Stark in Rivierenhof. I’ve lived in Antwerp for years, but had never visited the park and nearby cafe before. It is such a dreamy location and the perfect place to wind down after a long work week. I cannot wait to go back and have a picnic or shoot outfits at all the other pretty park sites that I scouted while we were there! The rest of our weekend was spend mostly cleaning up the house as our new furniture finally got delivered. After months of living between the boxes we finally have all the space we needed to store all of our baking supplies, books, paperwork, souvenirs, … . Our living room and kitchen are now almost finished! I hope you guys had a lovely weekend too! Next Post Kipling’s New Summer Collection Has Got Me Good. That’s a beautiful off the shoulder top! 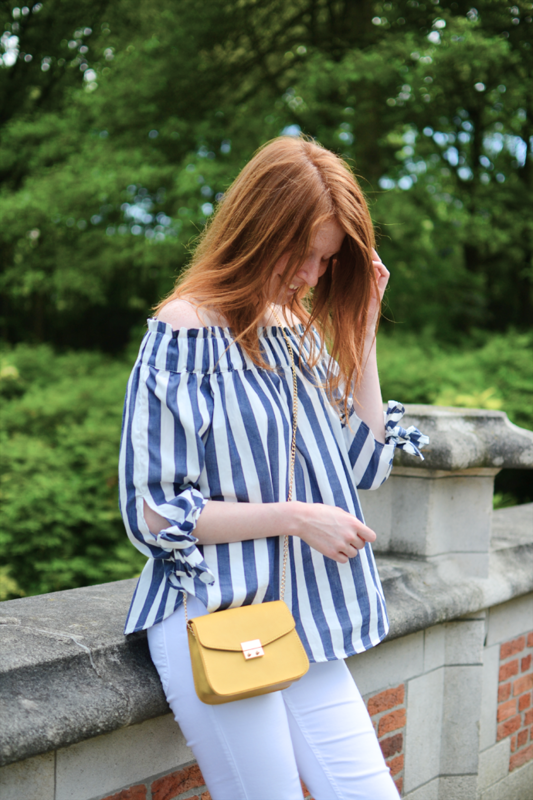 I like the little yellow bag for a pop of colour with the navy and white too 🙂 I should get my little yellow cross body bag out again!